It's my first No-Mother's Day. My mom left us in February after a long and good life. I'm bombarded with Mother's Day reminders, of course, and it's not always easy. Mother's Day can be difficult for anyone who has lost or is estranged from their mother. But it's the same for the fatherless (or estranged-from-father) on Father's Day, singles on Valentine's Day, pagans on Christmas and Easter, and so on. The majority celebrate these things. I'm not going to take that away from them or whine that I'm left out. I don't expect anyone to accommodate my difference. No one is trying to hurt me. I'm happy to wish all mothers a Happy Mother's Day. I'm especially happy to see links on Facebook and elsewhere to articles about the actual origins of Mother's Day. This ain't no Hallmark holiday! At least it shouldn't be. So have a great day, moms! I no longer have one and have never been one, but I think moms are totally rad. 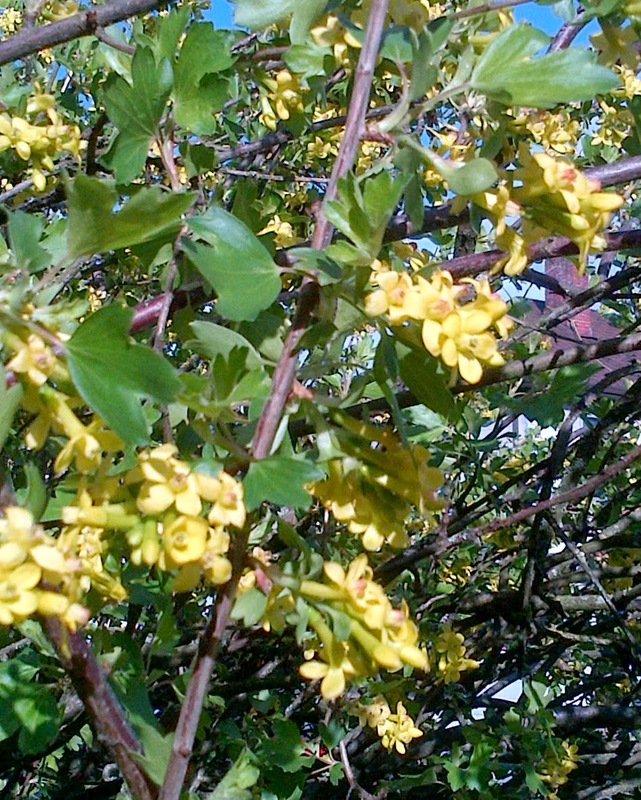 My mom loved yellow flowers, so this flowering currant is for her. My dad died the weekend of Father's day. it's a bit like a tooth missing when the day comes around.